On November 18, 2011, we had a riveting interview with noted Positive Psychologist, Timothy Wilson, Ph.D., Sherrell J. Aston Professor of Psychology at the University of Virginia and author of the new book Redirect: The Surprising New Science of Psychological Change. Timothy Wilson, Ph.D., did his undergraduate work at Williams College and Hampshire College and received his doctorate degree from the University of Michigan. Currently he is the Sherrell J. Aston Professor of Psychology at the University of Virginia and a researcher of positive psychology and affective forecasting. His research has been supported by the National Institute of Mental Health, the National Science Foundation, and the Russell Sage Foundation. 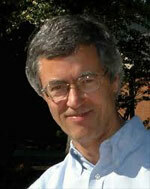 In 2001 he received an All-University Outstanding Teaching Award from the University of Virginia. In 2009, he was named as a fellow to the American Academy of Arts & Sciences, and in 2010 he received the University of Virginia Distinguished Scientist Award. He has published numerous articles in the areas of introspection, attitude change, self-knowledge, and affective forecasting. Professor Wilson is also the author of the book Strangers to Ourselves: Discovering the Adaptive Unconscious (Harvard University Press, 2002), which was named an Outstanding Academic Title by CHOICE: Current Reviews for Academic Libraries. He co-authored Social Psychology, an introductory textbook on social psychology with Eliot Aronson, currently in its sixth edition. With Richard Nisbett, Wilson wrote one of the most cited psychology papers, titled “Telling more than we can know – Verbal reports on mental processes.” The paper demonstrates the difficulty humans have in introspecting on their own mental processes (Psychological Review, 1977). He has been associate editor of the Journal of Personality and Social Psychology and a member of the Social and Groups Processes Review Committee at the National Institute of Mental Health. He has been elected twice to the Executive Board of the Society for Experimental Social Psychology and is a Fellow in the American Psychological Society. He lives in Charlottesville, Virginia, with his wife, Deirdre Smith. He has two children, Christopher and Leigh. Immune neglect: A source of durability bias in affective forecasting. Mental contamination and mental correction: Unwanted influences on judgments and evaluations. The halo effect: Evidence for unconscious alteration of judgments. Focalism: A source of durability bias in affective forecasting. This is one of Wilson’s most influential publications. He wrote it with Richard Nisbett while still in graduate school at the University of Michigan, and it is one of the most heavily cited psychology articles published in the seventies. It provided the first comprehensive, empirically based argument that a variety of mental processes responsible for preferences, choices, and emotions are inaccessible to conscious awareness. Written with his longtime collaborator, Daniel Gilbert of Harvard.